A person is usually alone when they read the message on a door hanger. 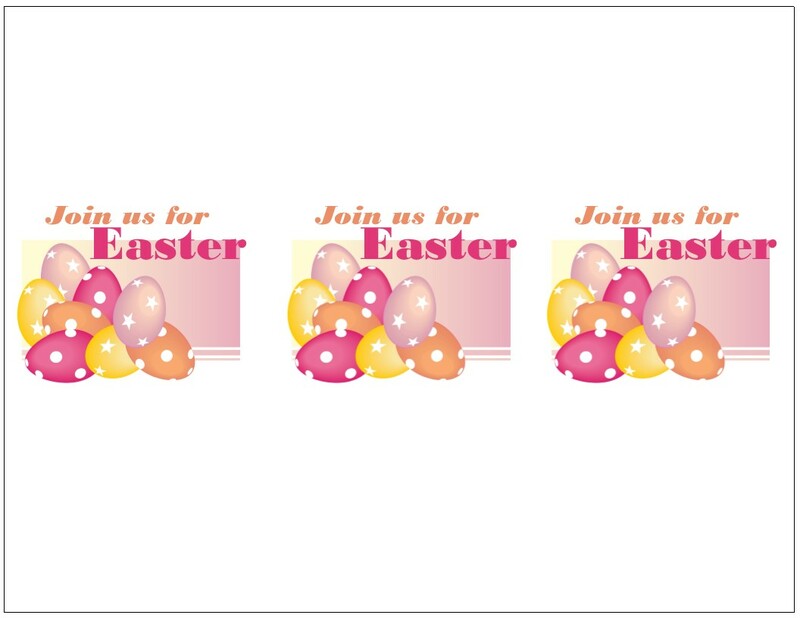 It can be an effective way to help them consider the meaning of life, Easter, and personal salvation. You can't ignore a door-hanger—you literally have to do something with it and even if you toss it, chances are you'll glance at the message. 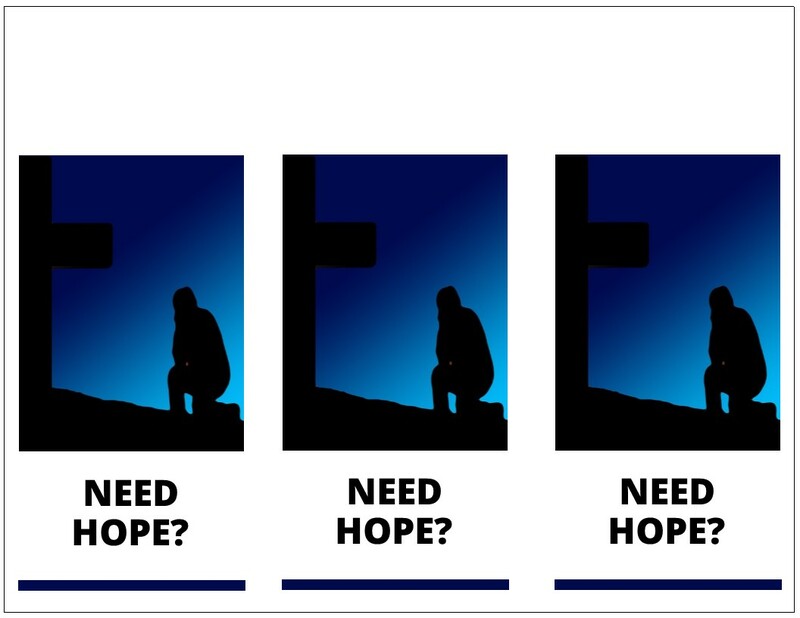 One of the most powerful reasons door hangers can be effective Easter outreach is because often the person reading them is alone and may not be thinking about anything else. The ads that could be physically touched as well as viewed stimulated the most activity on the brain. . . By having something physical in front of them, the brain placed more authority and emotional resonance to that ad versus the one the participant could see only via a monitor. The takeaway from this experiment was physical involvement versus just visual involvement equated to a deeper connection. . . . . . It's also an important reminder that effective marketing needs to integrate all faces of the tools available, from print media to email, display ads to social media, and word-of-mouth to influencer marketing campaigns. 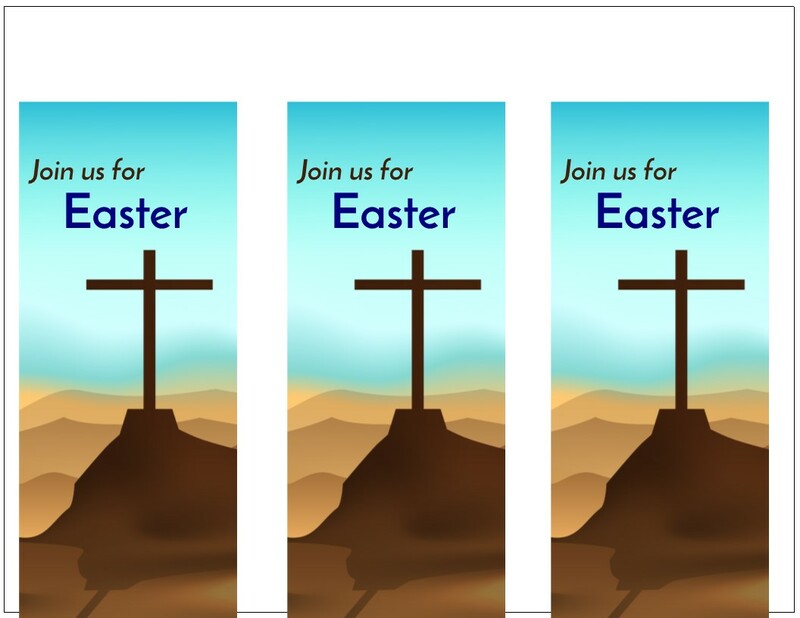 Here is one more reason door hangers can be effective Easter outreach—often the person reading them is alone and may not be thinking about anything else. 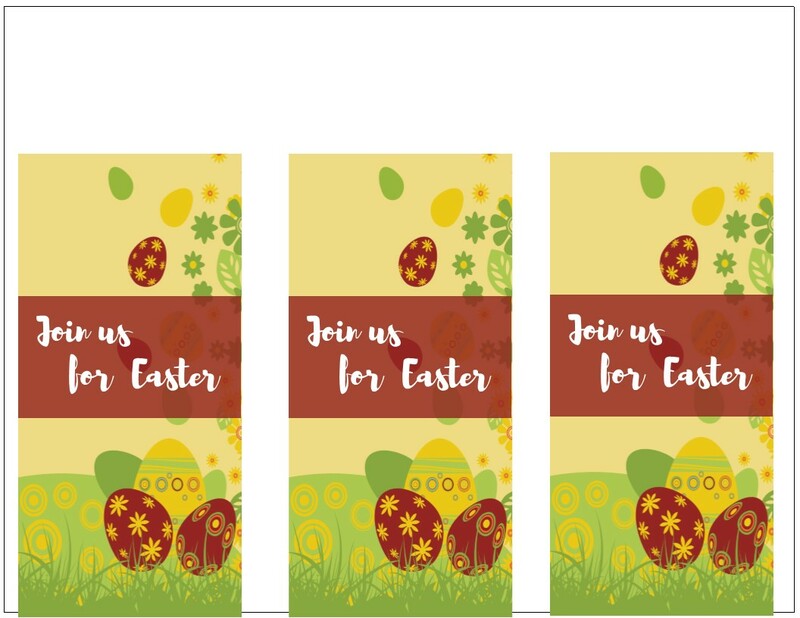 Finally, there isn't anything magical about print or door hangers, but in addition to the reasons above, their low-cost and the ability to involve your congregation when you give them out (discussed in the article here) make them a useful addition to your Easter mix of outreach. 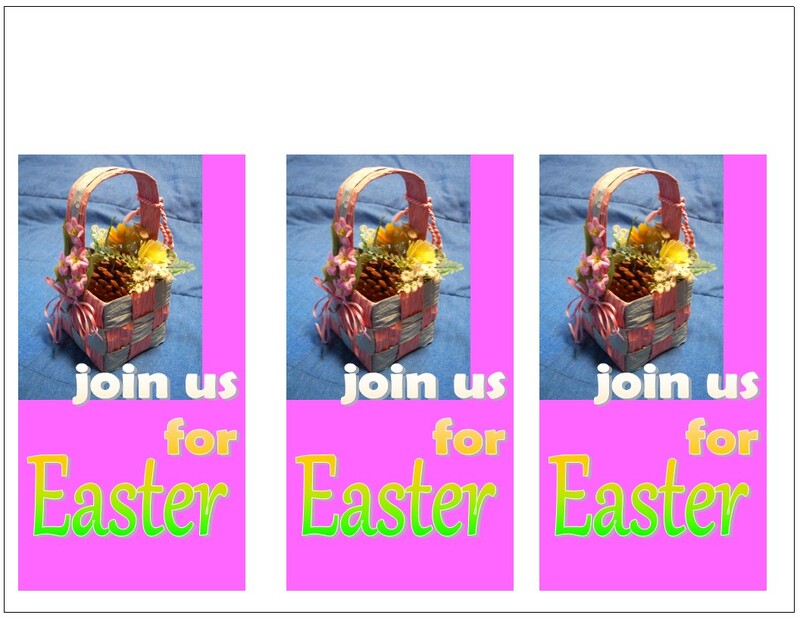 As the following images illustrate, we have a selection of door hangers for you to choose from for Easter. Some have room on them for church information on the front, others you can put it on the second side. 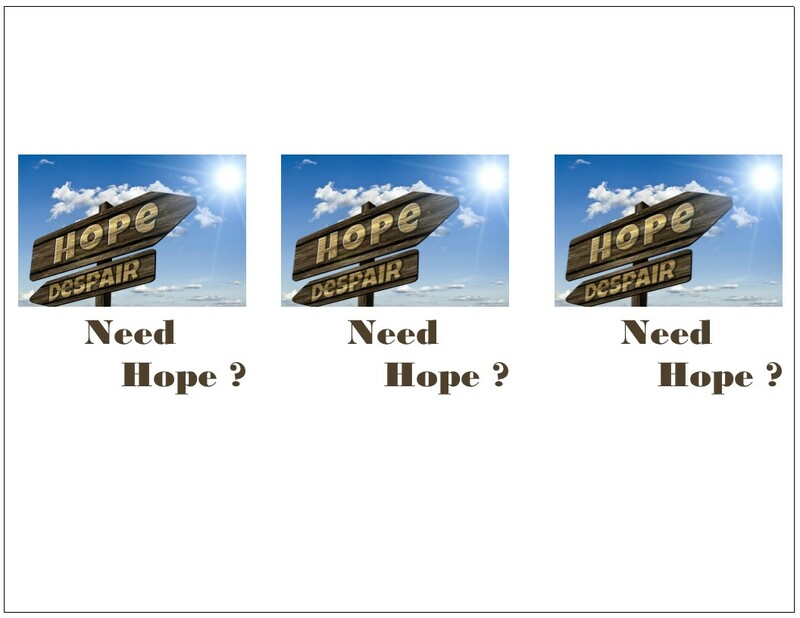 One has a message for you about hope and that is below the images illustrated. 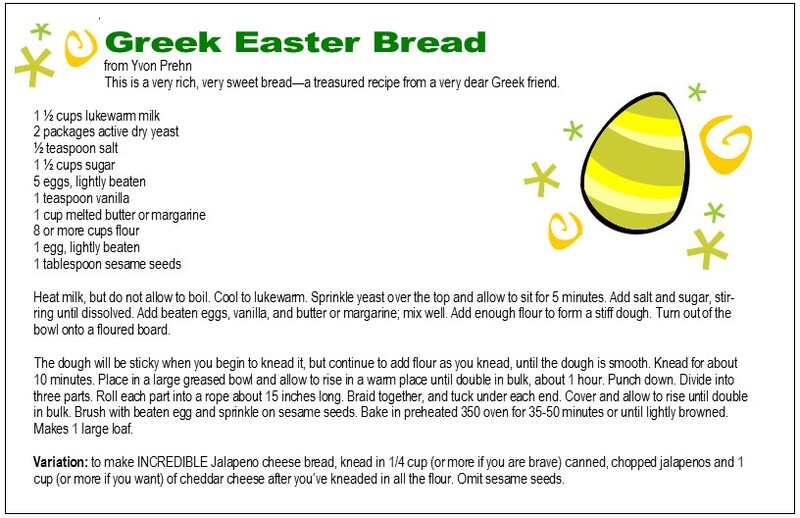 This delicious Easter bread recipe is a fun way to invite people to attend your Easter events. 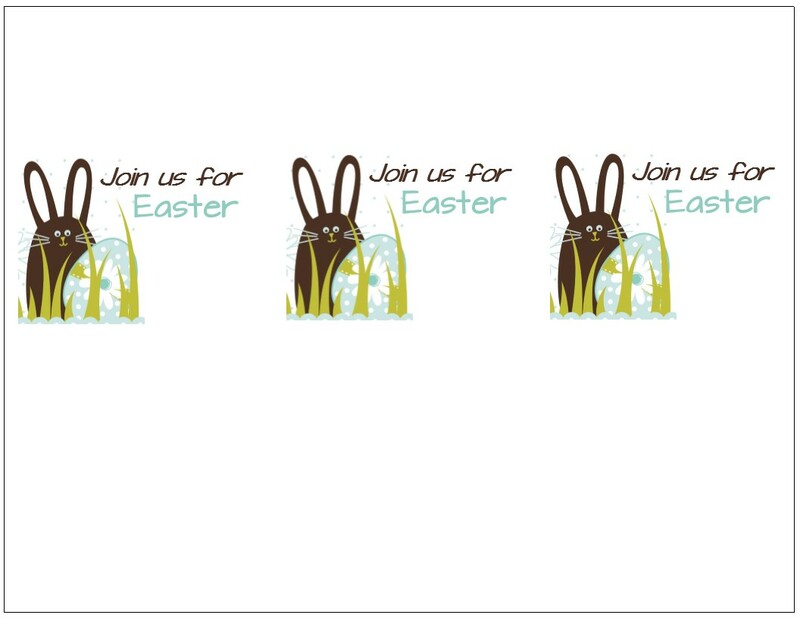 Which would you rather get to encourage you to come to church for Easter? A postcard that tells you how wonderful the church is or a really great recipe? 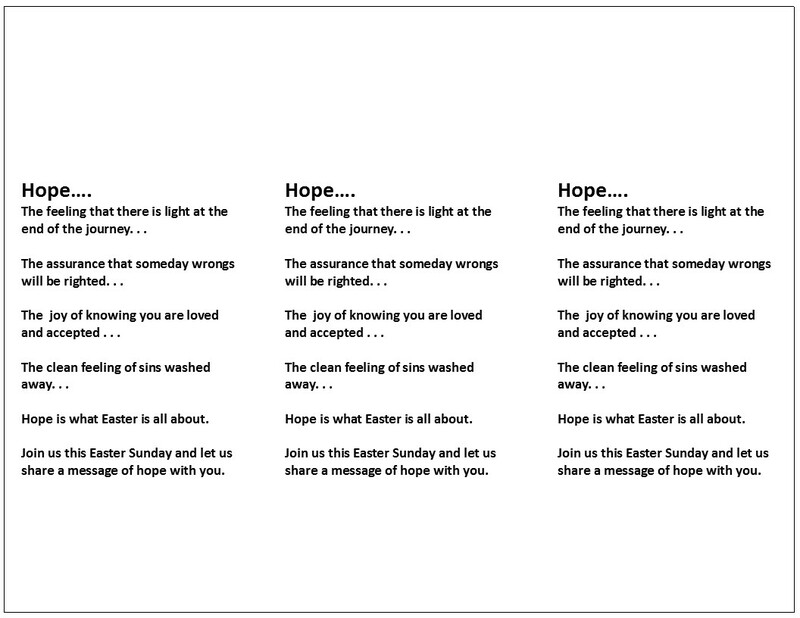 Of course churches are going to talk about how wonderful they are at Easter time, but a great recipe for free—that's different and might get attention in a way something else won't. 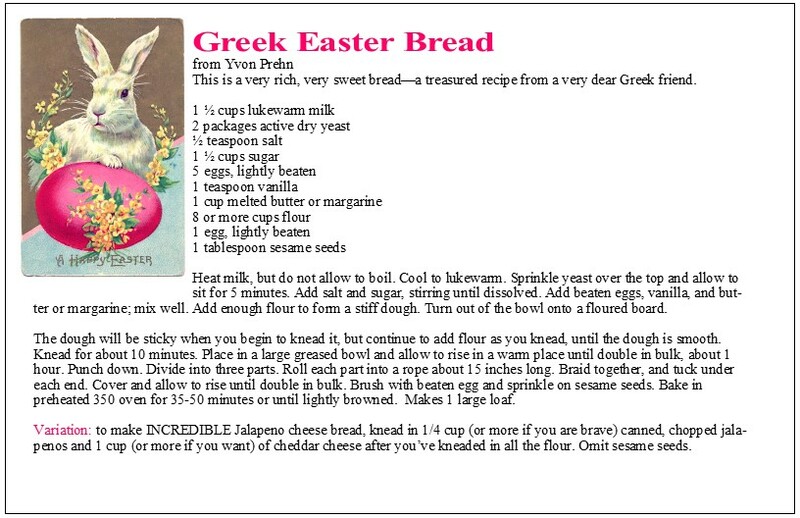 Everybody loves recipes and this Greek Easter Bread is exceptionally delicious. 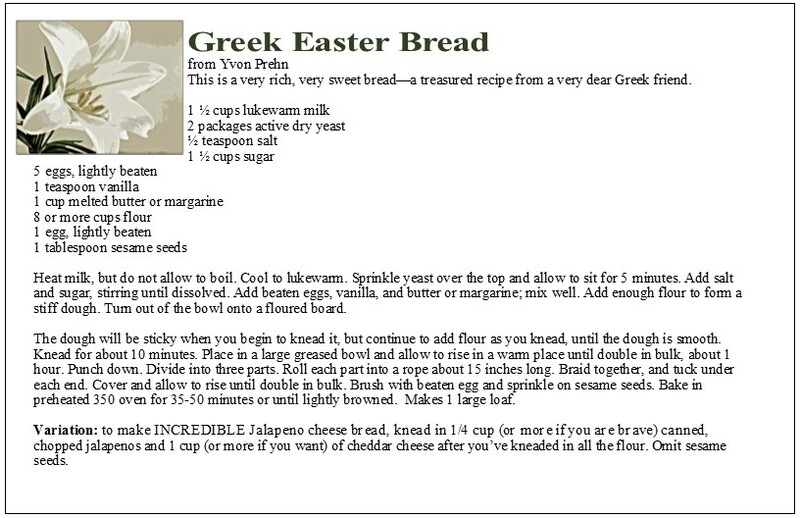 It's my version of a recipe given to me years ago by a very dear Greek friend. It's a sweet yeast bread (not a coffee cake) and bakes up beautifully. 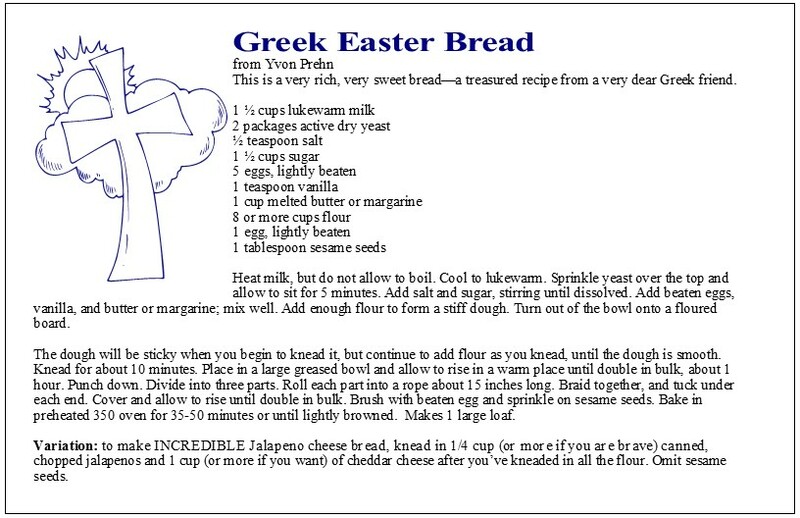 In addition to serving the main version for Easter, I came up with an alternate version to serve with soup, especially something like tortilla soup, any time of the year. 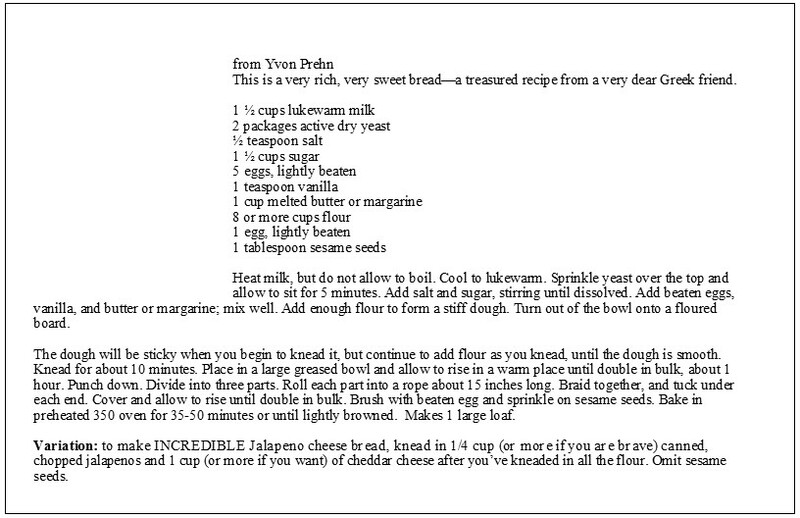 In this variation, you add jalapeno peppers and cheddar cheese--it is sooooooooooo good. The regular version makes great French Toast and the Cheddar/Jalapeno version is fantastic oven-toasted. Either way, it's something everyone would love. 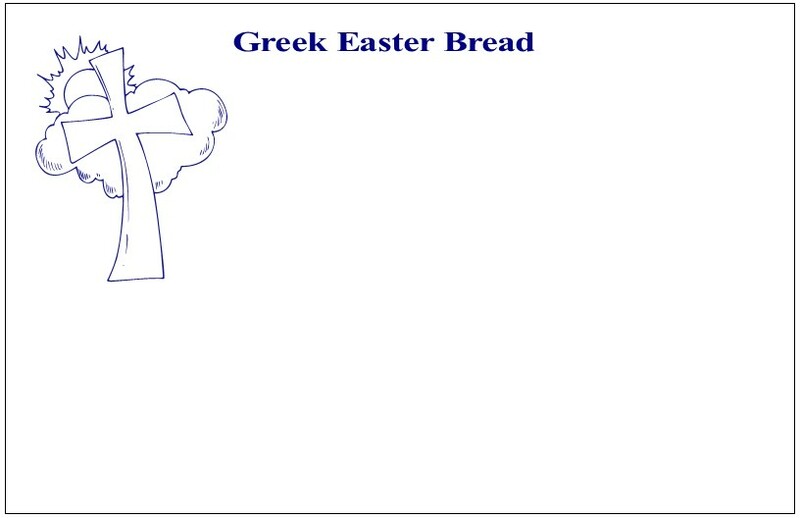 Below are finished cards for the recipe that you can personalize on the back and below I included a print of the recipe. The link to the ZIP file for them is at the end of this article.